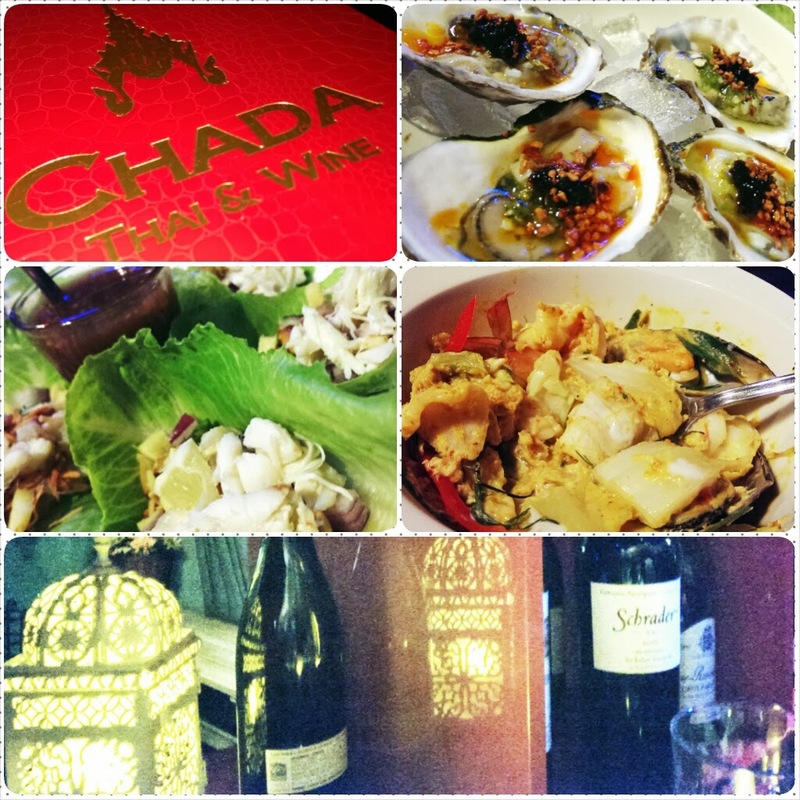 I've been to many Thai restaurants in town and Chada Thai & Wine stands out to me. Other than their nice chic atmosphere, they serve dishes that I've never seen before (see menu) other than the popular Thai dishes like Larb or Panang Curry. Some of the dishes we got were Miang Pou (left middle pic)- a lettuce wrap with crab meat, ginger, roasted coconut, peanut, chili, lime, and onion; Fresh Oysters (top right pic)- topped with roasted chili, lime, garlic, and cilantro; Hor Mok (middle right pic)- steamed curry with seafood, basil, and nappa cabbage. It was refreshing to eat different Thai foods and the way that each dish were flavored were on point! Also, this restaurant is also known for their wine selection and if you're on a gluten-free diet, just request for the special menu.